With easy one-touch pairing between transmitter and receiver, Sennheiser showed their new XS Wireless Digital Series broadcast microphones and instrument interfaces at NAB. 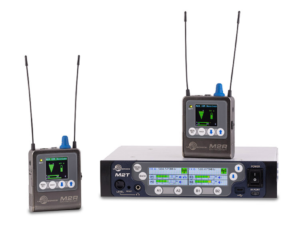 Utilizing automatic frequency-hopping 2.4GHz WiFi connectivity, the XS components offer one-touch “instant connections” for connecting microphones or musical instruments to cameras, mixers, recorders, and amplifiers. 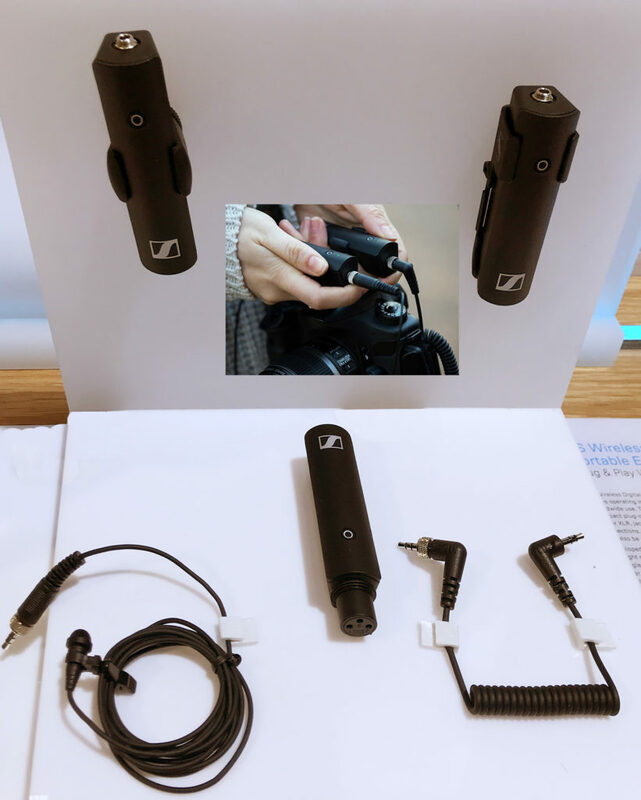 Sennheiser’s Wireless Digital transmitters and receivers are made to mount directly to equipment, with a range of included and optional adapters. As with their existing Evolution Wireless Systems, the XS Series is available in a number of handy configurations, including Portable Interview Set; Presentation Set; and Pedalboard Set.